Dynamic metasurface antennas are planar structures that exhibit remarkable capabilities in controlling electromagnetic wavefronts, advantages that are particularly attractive for microwave imaging. These antennas exhibit strong frequency dispersion and produce rapidly varying radiation patterns. Such behavior presents unique challenges for integration with conventional imaging algorithms. We adapt the range migration algorithm (RMA) for use with dynamic metasurfaces and propose a preprocessing step that ultimately allows for expression of measurements in the spatial frequency domain, from which the fast Fourier transform can efficiently reconstruct the scene. Numerical studies illustrate imaging performance using conventional methods and the adapted RMA, demonstrating that the RMA can reconstruct images with comparable quality in a fraction of the time. The algorithm can be extended to a broad class of complex antennas for application in synthetic aperture radar and MIMO imaging. D. A. Ausherman, A. Kozma, J. L. Walker, H. M. Jones, and E. C. Poggio, “Developments in radar imaging,” IEEE Trans. Aerosp. Electron. Syst. AES-20, 363–400 (1984). D. Massonnet and K. L. Feigl, “Radar interferometry and its application to changes in the earth’s surface,” Rev. Geophys. 36, 441–500 (1998). J.-C. Bolomey, “Recent european developments in active microwave imaging for industrial, scientific, and medical applications,” IEEE Trans. Microwave Theory Tech. 37, 2109–2117 (1989). M. Soumekh, Fourier Array Imaging (Prentice-Hall, 1994). B. Gonzalez-Valdes, G. Allan, Y. Rodriguez-Vaqueiro, Y. Alvarez, S. Mantzavinos, M. Nickerson, B. Berkowitz, J. A. Martinez-Lorenzo, F. Las-Heras, and C. M. Rappaport, “Sparse array optimization using simulated annealing and compressed sensing for near-field millimeter wave imaging,” IEEE Trans. Antennas Propag. 62, 1716–1722 (2014). M. Dehmollaian and K. Sarabandi, “Refocusing through building walls using synthetic aperture radar,” IEEE Trans. Geosci. Remote Sens. 46, 1589–1599 (2008). J. C. Curlander and R. N. McDonough, Synthetic Aperture Radar (Wiley, 1991). S. S. Ahmed, A. Schiessl, and L.-P. Schmidt, “A novel fully electronic active real-time imager based on a planar multistatic sparse array,” IEEE Trans. Microwave Theory Tech. 59, 3567–3576 (2011). A. V. Oppenheim and R. W. Schafer, Discrete-Time Signal Processing (Prentice-Hall, 1989), Vol. 2. C. Cafforio, C. Prati, and F. Rocca, “Sar data focusing using seismic migration techniques,” Aerosp. Electron. Syst. 27, 194–207 (1991). S. Guillaso, A. Reigber, L. Ferro-Famil, and E. Pottier, “Range resolution improvement of airborne sar images,” IEEE Geosci. Remote Sens. Lett. 3, 135–139 (2006). X. Zhuge and A. G. Yarovoy, “Three-dimensional near-field mimo array imaging using range migration techniques,” IEEE Trans. Image Process. 21, 3026–3033 (2012). J. M. Lopez-Sanchez and J. Fortuny-Guasch, “3-d radar imaging using range migration techniques,” IEEE Trans Antennas Propag. 48, 728–737 (2000). M. Soumekh, Synthetic Aperture Radar Signal Processing (Wiley, 1999). D. J. Brady, Optical Imaging and Spectroscopy (Wiley, 2009). C. L. Holloway, A. Dienstfrey, E. F. Kuester, J. F. O’Hara, A. K. Azad, and A. J. Taylor, “A discussion on the interpretation and characterization of metafilms/metasurfaces: the two-dimensional equivalent of metamaterials,” Metamaterials 3, 100–112 (2009). C. L. Holloway, E. F. Kuester, J. Gordon, J. O. Hara, J. Booth, and D. R. Smith, “An overview of the theory and applications of metasurfaces: the two-dimensional equivalents of metamaterials,” IEEE Antennas Propag. Mag. 54(2), 10–35 (2012). J. Hunt, T. Driscoll, A. Mrozack, G. Lipworth, M. Reynolds, D. Brady, and D. R. Smith, “Metamaterial apertures for computational imaging,” Science 339, 310–313 (2013). R. A. Stevenson, A. H. Bily, D. Cure, M. Sazegar, and N. Kundtz, “55.2: Invited paper: Rethinking wireless communications: Advanced antenna design using LCD technology,” in SID Symposium Digest of Technical Papers (Wiley, 2015), Vol. 46, pp. 827–830. E. E. Fenimore and T. Cannon, “Coded aperture imaging with uniformly redundant arrays,” Appl. Opt. 17, 337–347 (1978). J. 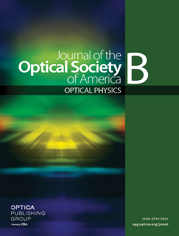 Hunt, J. Gollub, T. Driscoll, G. Lipworth, A. Mrozack, M. S. Reynolds, D. J. Brady, and D. R. Smith, “Metamaterial microwave holographic imaging system,” J. Opt. Soc. Am A 31, 2109–2119 (2014). T. Fromenteze, O. Yurduseven, M. F. Imani, J. Gollub, C. Decroze, D. Carsenat, and D. R. Smith, “Computational imaging using a mode-mixing cavity at microwave frequencies,” Appl. Phys. Lett. 106, 194104 (2015). T. Fromenteze, E. L. Kpré, D. Carsenat, C. Decroze, and T. Sakamoto, “Single-shot compressive multiple-inputs multiple-outputs radar imaging using a two-port passive device,” IEEE Access 4, 1050–1060 (2016). G. Lipworth, A. Rose, O. Yurduseven, V. R. Gowda, M. F. Imani, H. Odabasi, P. Trofatter, J. Gollub, and D. R. Smith, “Comprehensive simulation platform for a metamaterial imaging system,” Appl. Opt. 54, 9343–9353 (2015). T. Fromenteze, C. Decroze, and D. Carsenat, “Waveform coding for passive multiplexing: Application to microwave imaging,” IEEE Trans. Antennas Propag. 63, 593–600 (2015). O. Yurduseven, M. F. Imani, H. Odabasi, J. Gollub, G. Lipworth, A. Rose, and D. R. Smith, “Resolution of the frequency diverse metamaterial aperture imager,” Prog. Electromag. Res. 150, 97–107 (2015). T. Sleasman, M. Boyarsky, M. F. Imani, J. N. Gollub, and D. R. Smith, “Design considerations for a dynamic metamaterial aperture for computational imaging at microwave frequencies,” J. Opt. Soc. Am. B 33, 1098–1111 (2016). A. Grbic and G. V. Eleftheriades, “Leaky cpw-based slot antenna arrays for millimeter-wave applications,” IEEE Trans. Antennas Propag. 50, 1494–1504 (2002). T. Sleasman, M. Imani, W. Xu, J. Hunt, T. Driscoll, M. Reynolds, and D. Smith, “Waveguide-fed tunable metamaterial element for dynamic apertures,” IEEE Antennas Wireless Propag. Lett. 15, 606–609 (2015). I. Gil, J. Bonache, J. García-García, and F. Martín, “Tunable metamaterial transmission lines based on varactor-loaded split-ring resonators,” IEEE Trans. Microwave Theory Tech. 54, 2665–2674 (2006). R. C. Hansen, Phased Array Antennas (Wiley, 2009), Vol. 213. T. H. Hand, J. Gollub, S. Sajuyigbe, D. R. Smith, and S. A. Cummer, “Characterization of complementary electric field coupled resonant surfaces,” Appl. Phys. Lett. 93, 212504 (2008). C. Jouvaud, J. de Rosny, and A. Ourir, “Adaptive metamaterial antenna using coupled tunable split-ring resonators,” Electron. Lett. 49, 518–519 (2013). H. Odabasi, F. Teixeira, and D. Guney, “Electrically small, complementary electric-field-coupled resonator antennas,” J. Appl. Phys. 113, 084903 (2013). P. T. Bowen, T. Driscoll, N. B. Kundtz, and D. R. Smith, “Using a discrete dipole approximation to predict complete scattering of complicated metamaterials,” New J. Phys. 14, 033038 (2012). M. Johnson, P. Bowen, N. Kundtz, and A. Bily, “Discrete-dipole approximation model for control and optimization of a holographic metamaterial antenna,” Appl. Opt. 53, 5791–5799 (2014). L. Pulido-Mancera, T. Zvolensky, M. Imani, P. Bowen, M. Valayil, and D. Smith, “Discrete dipole approximation applied to highly directive slotted waveguide antennas,” IEEE Antennas Wireless Propag. Lett. PP, 1 (2016). E. Moors, “On the reciprocal of the general algebraic matrix, abstract,” Bull. Amer. Math. Soc. 26, 394–395 (1920). O. Yurduseven, J. N. Gollub, D. L. Marks, and D. R. Smith, “Frequency-diverse microwave imaging using planar mills-cross cavity apertures,” Opt. Express 24, 8907–8925 (2016). Y. Saad and M. H. Schultz, “Gmres: a generalized minimal residual algorithm for solving nonsymmetric linear systems,” SIAM J. Sci. Stat. Comput. 7, 856–869 (1986). Fig. 1. Dynamic metasurface antenna. Fig. 2. (a) Bistatic SAR imaging system. (b) Dynamic metasurface antenna imaging system. Fig. 3. Block diagram of the adapted RMA applied for a stationary dynamic metasurface. Fig. 4. Singular value spectra for different sets of masks applied. (a) Φ for identity masks. (b) Φ for random masks. (c) SV spectrum. Fig. 5. Transformation of the signal measured with the dynamic metasurface to apply the RMA. (a) S n y × n f , (b) g n m × n f , (c) S ^ n y × n f .
Fig. 6. Steps of the range migration algorithm for a PSF. (a) S ^ n y × n f . (b) FFT in cross range. (c) Stolt interpolation. (d) 2D-IFFT. Fig. 7. (a) 2D map of the PSNR as a function of the regularization parameter and the oversampling rate nm/ny. (b) Truncated SVD curve for three different scenarios. (c) Image reconstruction for each scenario: 1. PSNR = 26.5 dB ; 2. PSNR = 33.2 dB , 3. PSNR = 23.8 dB . Fig. 8. Cross sections of the PSF in (a) range and (b) cross range. Different colors correspond to different reconstruction methods. Fig. 9. Image reconstruction of a complex target with different reconstruction methods. (a) Object. (b) Matched filter. (c) GMRES. (d) RMA. Fig. 10. 3D image reconstruction by moving the dynamic metasurface antenna along the z direction. (a) Target locations. (b) Reconstructed images.